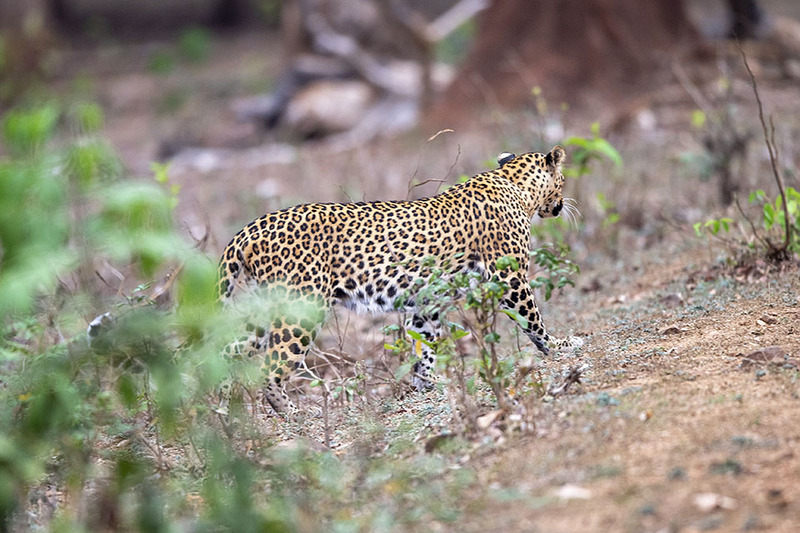 We were on a safari at the popular Kabini Tiger Reserve within the Nagahole National Park when we heard Spotted Deer alarm calls. 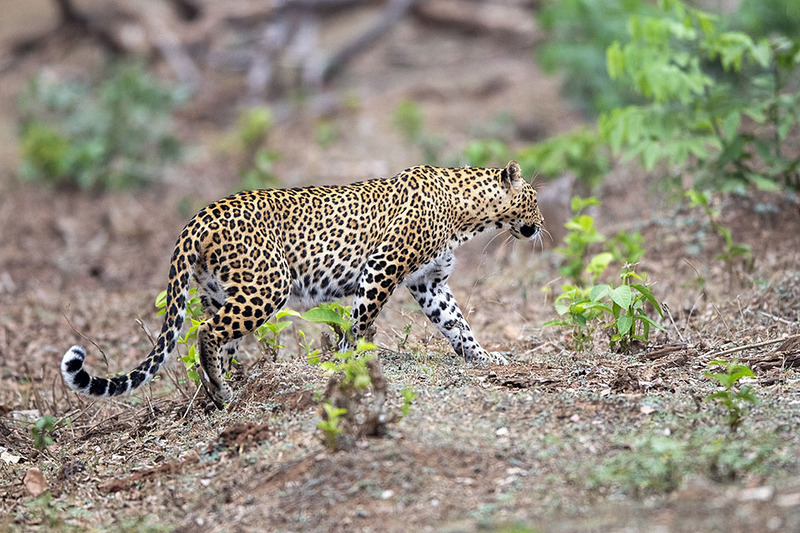 We rushed to the area where the calls were coming from and spotted a beautiful Leopardess just breaking cover and emerging from the Lantana bushes. 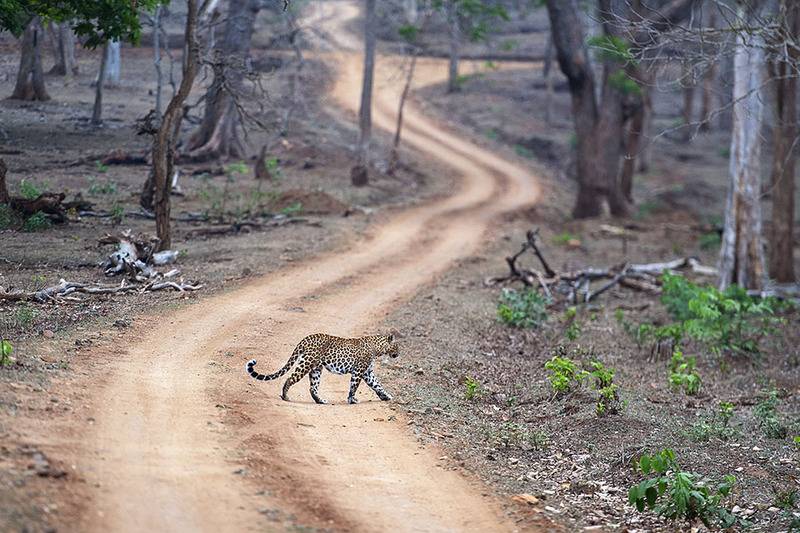 We switched off the vehicle engine and waited to see her next move. 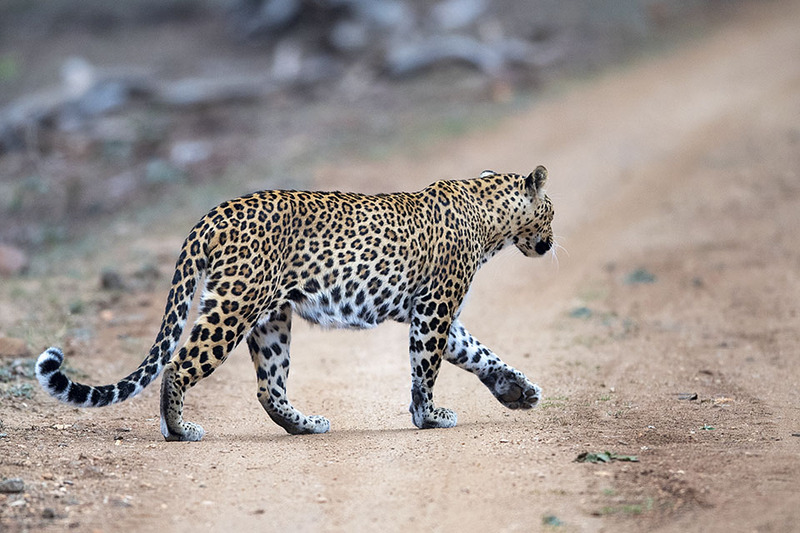 The nonchalant Leopardess strolled into the open and crossed the road right in front of us. 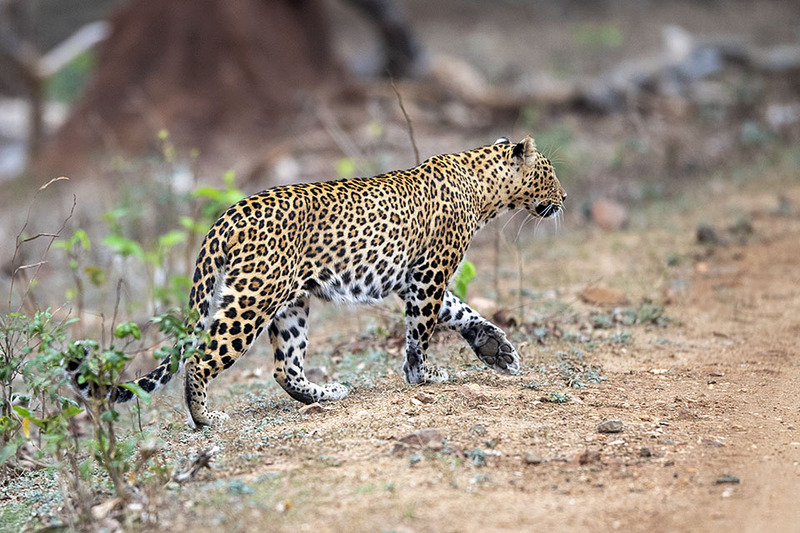 She then casually disappeared onto the Lantana bushes on the other side. 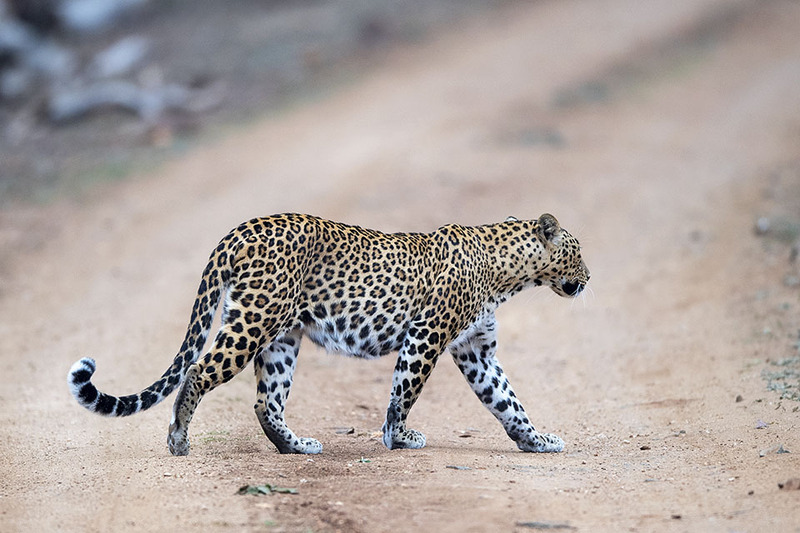 It was only after the sighting that it dawned on us that this was one of the first times a Leopard had walked past us without turning around and looking at us. It has happened to us with a Tiger before, you can read more about it in this post here.